Lazada is back with another blogger contest! This time, it is to celebrate the 9.9 Festival Sale that will be going on from 6-9 September 2018. Yes that is tomorrow so get your wallet ready guys! There will be sales up to 90% from a 100 different brands oh my god. To grab the sale, click on this link here! Blogger Contest : All you ever wanted: pick three products on Lazada that you have always wanted to buy. Isn't this luggage is the cutest thing ever?! When I saw this, I just know that I REALLY REALLY want it. Being a student that often flies to another state of my country, a cute luggage would be perfect to excite up my travel. At least i would be happy to pack and unpack my stuff. 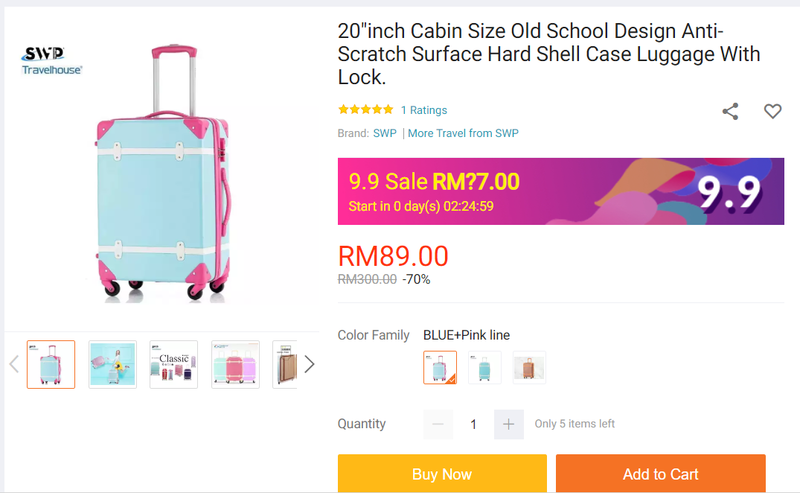 I have never seen this exact luggage anywhere else but Lazada. I can't even choose a color because all of them are cute. Like my favorite color is pink, but in this case, it's really hard to make a choice. All of them look like yummy ice creams lol. It is pretty huge too at 20 inch. So you can really bring in a lot of stuff inside. And for the price? RM89 is a win. This is why I love Lazada. The prices are always too incredible to be true. Lazada literally sells everything, so it is not hard to find the exact thing that you want here. I've been looking for a portable drive but the ones that I often found in regular shops are generic, black and boring. 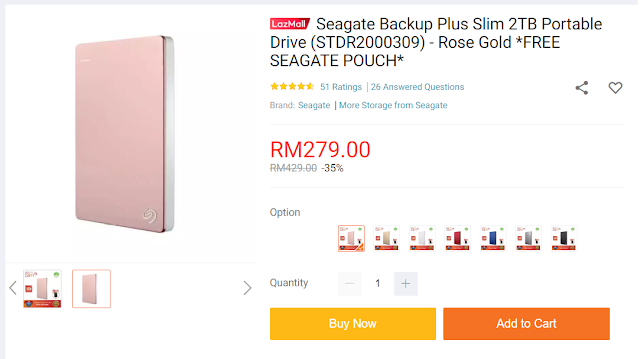 A lot of you probably don't care about how your hard disk looks like, but for me, if I am paying for the same price or cheaper, might as well find one that suits my taste the best in terms of the color. This one is in rose gold, so it is a perfection. And 2TB? I can save all the teas if you do me wrong in here. Lol, just kidding! 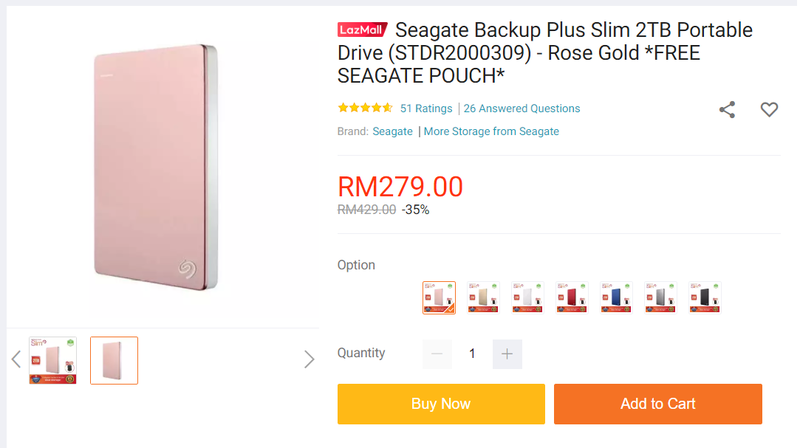 As a blogger, a hard disk is really important to save important files for the next contents that I will be posting on this site. This ad for this product has been on my instagram almost everyday that it wins to attract me. I did some researches about it before and found out that a lot of people are actually loving it. 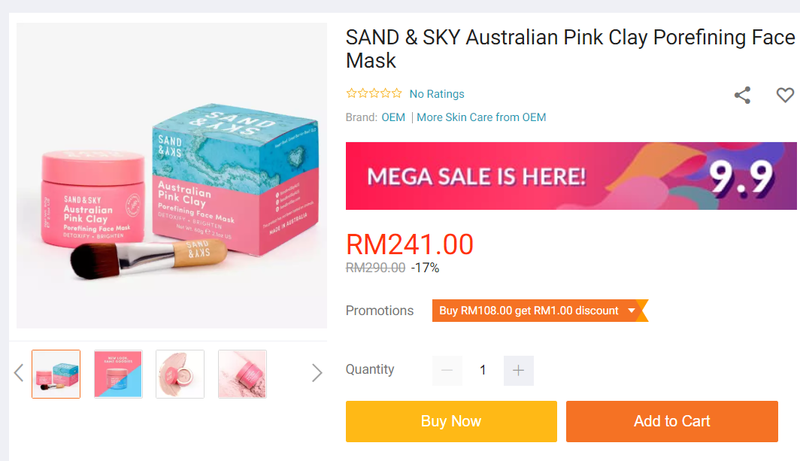 It was a product from Australia, so I was surprised to find out that Lazada sells it. Although it sells a little cheaper than the original price, but it is still a little expensive for me as a student. Let's pray so that I can get my hands on this beautiful product one day! So, these 3 things are my top 3 items that I have always wanted to purchase from Lazada. Is it surprising to see that all of them have pinks in them? I'm such a basic girl lol. No complain though! What are your top 3? Comment down below!